Daniel Kenneth Mooney, 26, left, was found dead of an overdose on May 2 in Kensington. Police say he killed Christina Celenza Roy, 28, and her husband, Tyler Christopher Roy, 27, in their Northampton Township home. The man sought in connection with a double-murder in Bucks County has been found dead in Philadelphia, law enforcement sources are telling 6ABC. 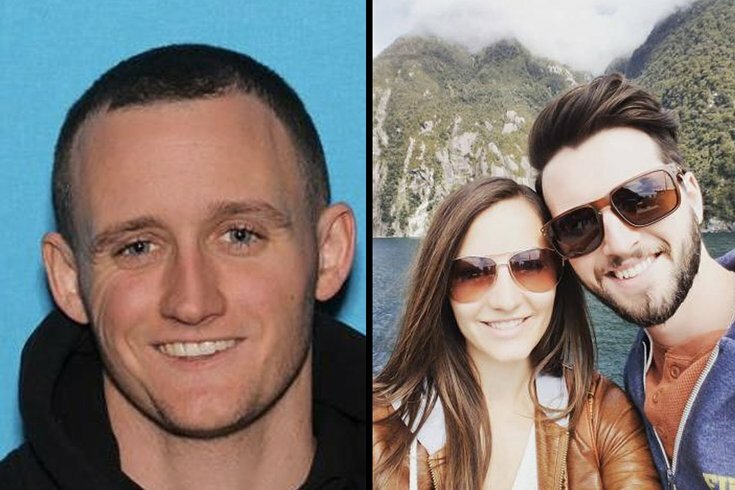 Daniel Kenneth Mooney, 26, a person of interest in the murders of a young couple in Northampton Township, apparently overdosed on drugs and died in the Kensington section of the city, sources told the news station. The bodies of Tyler Christopher Roy, 27, and Christina Celenza Roy, 28, were found Tuesday morning in their home at 26 Kitty Knight Drive. Mooney was a neighbor of the couple, but apparently had no relationship with the Roys. First Assistant District Attorney Gregg Shore had said Mooney was considered armed and dangerous, and may be walking with a pronounced limp, authorities said. Police wanted to question him in connection with the murders and the theft of the couple'sFord Edge SUV. The vehicle was found Wednesday morning in Northeast Philadelphia along with Mooney's cellphone. A warrant had also been issued for the theft of an unrelated vehicle in Northampton on Monday night, Shore said at a Wednesday afternoon news conference. 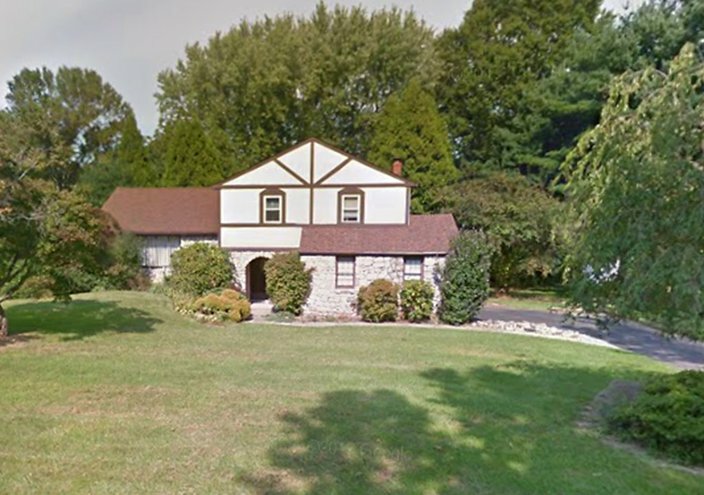 The young couple was found murdered Tuesday in this home on Kitty Knight Drive in Northampton Township, authorities said. Northampton Police Chief Michael Clark said Tuesday night that there was no sign of forced entry to the house. He said the police had had no contact with the victims, who had purchased the home in 2016, the year they were married. "They seemed to be a nice young couple that just happened to be unfortunate victims in this case," he said. A painter working at the home on Tuesday morning found the husband's body on the second floor and called police. Officers arriving on scene found the wife's body on the same floor, police said. Authorities haven't said how they died, but autopsies are planned Thursday to determine the causes of death, according to authorities.